World War Z Release Date Slated for April | Nerd Much? Saber Interactive and Focus Home Interactive have confirmed that we won’t have long to wait before we get to tackle the dead – and the living. The studios announced that they’ve set the World War Z release date for April. 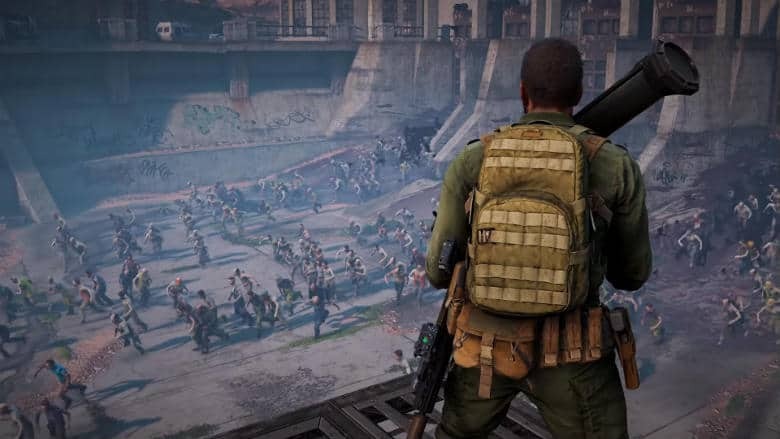 World War Z is the video game take on the franchise crafted from Max Brooks’ famous post-apocalyptic novel. Saber states that the game takes direct inspiration from the Paramount Pictures 2013 blockbuster. The title is designed as a four player co-op shooter in which you’ll battle both the living and the dead. In competitive online matches, you’ll pair up with teammates in a Player v. Player v. Zombies environment. The shooter sports six unique character classes to choose from. And you’ll utilize an assortment of weapons, explosives, turrets and traps in order to secure your team’s survival and ultimate victory. World War Z is slated to arrive on PlayStation 4 and Xbox One. On PC, Sabre and Focus Home have opted to put the title exclusively on the Epic Games store. Preorder bonuses are being offered that secure a copy early. They include the Lobo melee weapon which is known for “making mincemeat of the undead.” As well as golden skins for the ARK-103 assault rifle, Keris V10 SMG and 1911 Protector. You’ll get to experience this intense, undead world in just a few month with the World War Z release date being set for April 16th. But as for that movie sequel everyone was hoping for, don’t hold your breath.